What is anchor text optimisation and why is it important? If you have a website, then you will want each page to show early in the search listings when a potential customer types in a relevant search phrase into Google, Bing, Yahoo or another search engine. But there’s more to it than that. If the link to your website doesn’t appear on the first page or two of Google, then the chances of somebody even reading, let alone clicking on it, drop off exponentially. So ideally you need to be on the front page for the search terms your customers use. This post is one of a series of “how to” articles explaining simple things you can do to your website content to increase your chances of getting a good search ranking. I enjoy writing copy for the web because it’s not just about writing compelling, readable text. I love the challenge of weaving in the right keyword phrases and language to help my client’s web pages rank well as well as read well. 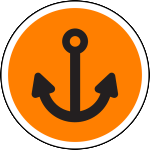 Anchor text is simply the visible, clickable words containing an embedded hyperlink. A hyperlink is a clickable link within a document that opens another web page or document. You can usually recognise a hyperlink because it shows up in a different colour to the words around it, and when you move the cursor over it, a pop-up appears containing the URL of the linked page. Why is anchor text optimisation an important part of copywriting? The anchor text in a link serves two purposes. It helps the reader by giving descriptive or contextual information about the page’s content. The choice of words in the anchor text will influence how a search engine ranks the page that the link points to. How many characters or words should you include in your anchor text? My research and experimentation suggest that, at the time of writing, Google only takes note of the first 60 characters (around 6-8 words) So don’t hyperlink a long sentence and make sure that the relevant description comes in the first six-8 words of the anchor text. * It increases the chances of Google ranking your page higher for the key phrases you want to be ranked for. When you include a link on a page or post, make sure that you take the time to optimise the anchor text so that it gives a brief but accurate description of the content of the page to which it links. Please use the social sharing buttons below to share this article with your friends and colleagues.